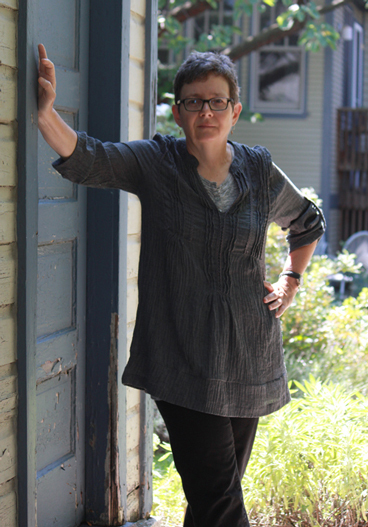 Peggy Shinner is the author of You Feel So Mortal / Essays on the Body (April 2014, University of Chicago Press). Her work has appeared in The Southern Review, Colorado Review, The Gettysburg Review, Daedalus, TriQuarterly, Another Chicago Magazine, Alaska Quarterly Review, Fourth Genre, and Bloom, and been anthologized in The Oldest We’ve Ever Been: Seven True Stories of Midlife Transitions (University of Arizona Press, 2008) and Her Face in the Mirror: Jewish Women on Mothers and Daughters (Beacon Press, 1995). She has been awarded two Illinois Arts Council Fellowships, residencies at the Ucross and Ragdale Foundations, and a fellowship at Ausable Press. Currently, she teaches in the MFA program at Northwestern University. As a trained martial artist, she taught Seido karate for seventeen years. A life-long Chicagoan, she lives there with her partner, designer and book artist Ann Tyler.